NOT USING THIS ACCOUNT ANYMORE.. NOT BUYING EA GAMES ANYMORE..
ScoobyDDoo and 2 other soldiers like this! I might be unbanned The entered GUID is not globally banned by Even Balance. ScoobyDDoo and 1 other soldier like this! 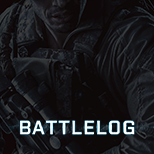 People of Battlefield, I had some credit on my gameservers account and got a BF4 server... please come and play a round idle timeout is 999999 so if you want to seed you can.